What is an integral feature? Integral features come under the heading Plant and machinery but like Fixtures have to be considered separately because they are subject to a set different rules and rates of capital allowances. 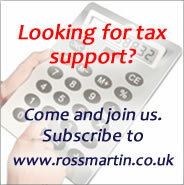 Exceptionally the Annual Investment Allowance applies to expenditure on both integral features and plant and machinery. (f) Solar panels which were specifically designated as special rate assets from 1 April 2012 for corporation tax and 6 April 2012 for income tax. Expenditure on the cost or replacement of integral features are subject to a reduced rate of writing down allowance for capital allowances (8% from April 2012 and 6% from April 2019). An integral feature is treated as being replaced where expenditure incurred is more than 50% of the cost of replacing the integral feature. The effect of this measure is that the replacement expenditure is not deductible against income, instead the cost is capitalised and subject to capital allowances. The rules link up any additional expenditure in the period of 12 months beginning with the initial expenditure being incurred. If all comes to more than 50% of the cost of replacing the integral feature (worked out as if all the expenditure was incurred at the time the initial expenditure was incurred) the cost is treated as if it is spent on the acquisition of a new asset. Polly would like to replace the electrical system in her seaside restaurant. She obtains an estimate from Sunnyside Electrics Ltd, who quote a total figure of £120,000 for the whole job and are recommended by her friend. She decides that she cannot afford this, so requests a separate estimate for replacing the wiring and sockets on the ground floor alone, because this is the floor she is most worried about, following some recent flood damage. Sunnyside Electrics Ltd quote a figure of £58,000 for this floor alone. Although it might have been possible for Polly to have obtained a cheaper estimate for replacing the whole system, for a total of say £100,000, (when £58,000 would have represented more than 50% of that total) this is not relevant. The £120,000 estimate from the recommended experienced electrician was a bona fide arm’s length estimate and there is no need to enquire further. The partial replacement cost represents less than 50% of the total replacement cost and so the integral features provisions do not apply. Joe decides to replace the electrical system in his factory. The cost of replacing the whole system is around £150,000. Joe’s business’s chargeable period ends on 31 December each year. He pays £60,000 towards the new system on 31/12/16 and pays the balance of £90,000 on 30/6/17, after the work is satisfactorily completed. The total expenditure is deemed to be capital expenditure, to be allocated to the special rate pool, where it will attract WDAs at 8%.